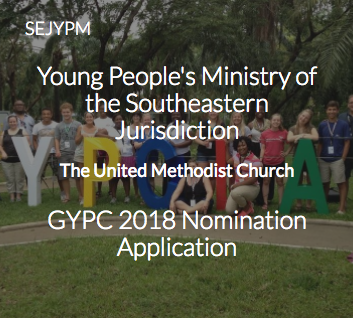 If you know a young person age 12-30 that could be a great delegate for the Southeast Jurisdiction and the South Carolina Conference, please NOMINATE THAT YOUNG PERSON TODAY! Nominations will only be accepted until August 15, 2017, so don’t delay. For more information or to nominate a young person age 12-30, please click on the image below!